Get inspired with presenting a masterfully paired cheeseboard. Indulge and share! Tips for a terrific cheese board! 3 or 4 cheeses is ideal. look to get a mixture of cheeses in terms of type, texture and colour and use manageable pieces of cheese rather than huge chunks. Get the cheeses out of the fridge and onto the cheeseboard at least an hour in advance of serving so that they get up to room temperature (cover the cheeses either with a clean tea towel or a cheese dome). 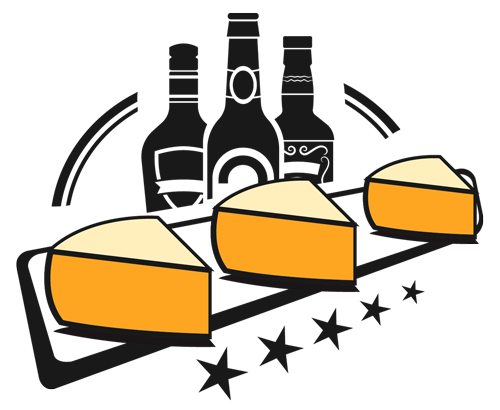 Use a different knife for each type of cheese so that one cheese doesn't contaminate another. Encourage your guests to cut the cheese in such a way that it leaves it looking roughly the same shape as when they started - so no cutting the nose of a Brie or any other triangular shape of cheese. Choose a hard cheese, a soft white mould cheese, a blue cheese and maybe a goats cheese or a blended cheese or a locally produced cheese that your guests may not have tried before. Come back again for fresh inspiration, published here, weekly!